Right Now , that is a trend that is every girl want to get a chrome nails. The chrome nails look beautiful and attractive. 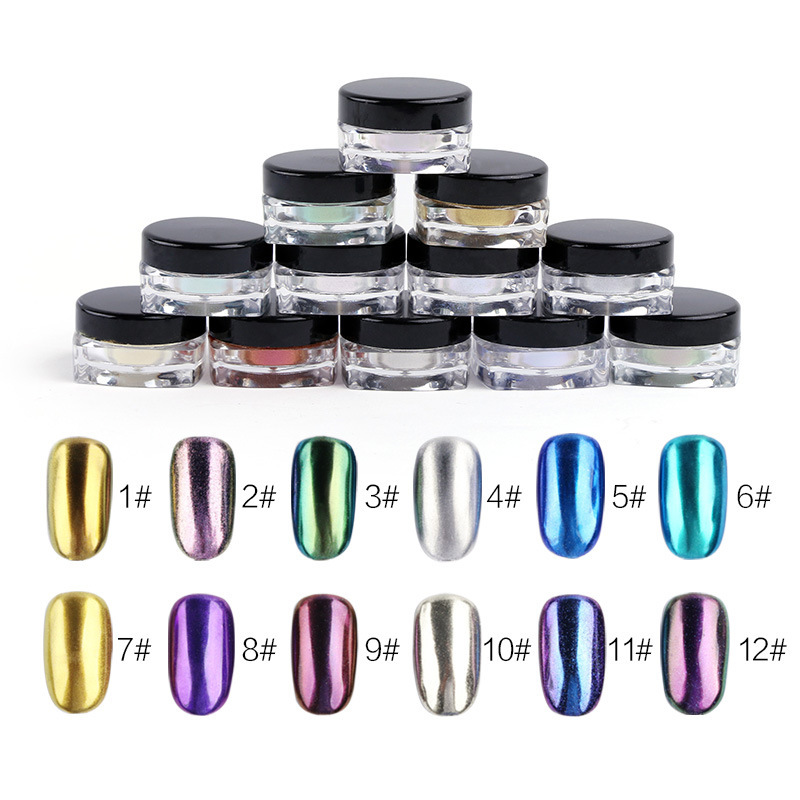 It is different with the metal nail polish before which is nail polish with formaldehyde, DBP or other toxic ingredients(bad for health, also along with the metallic nail polish, you need a professional top coat for it) but a chrome pigment powder or mirror effect powder. By applying it on the black color base, it will looks very shine with metal mirror effect. At first, you need to apply a color gel polish as base. For example, you can apply a black color gel nail polish as base. 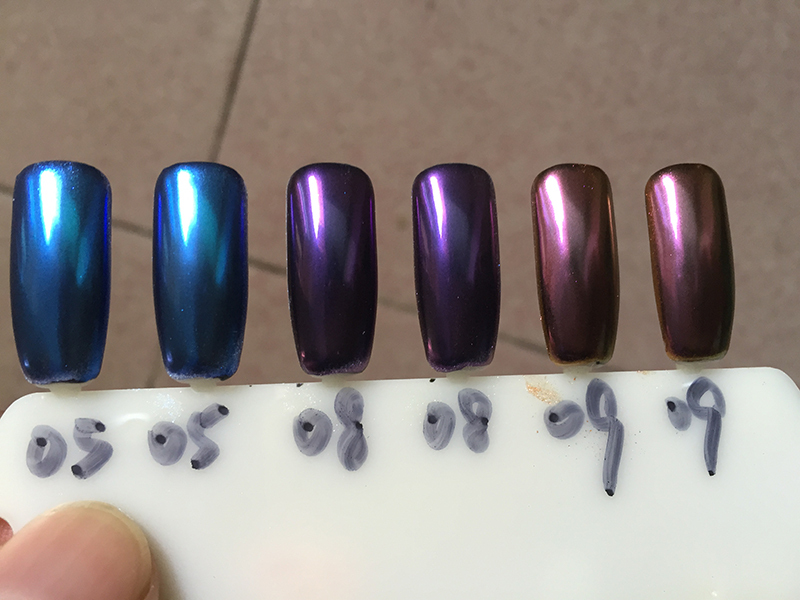 Curing it under uv nail lamp for 30 seconds(36w led nail lamp) and apply the top coat nail polish and dry it under nail lamp for 15-20 seconds(It is IMPORTANT!! to keep the top coat a little bit wet and let the chrome powder stick on the nails easily ). 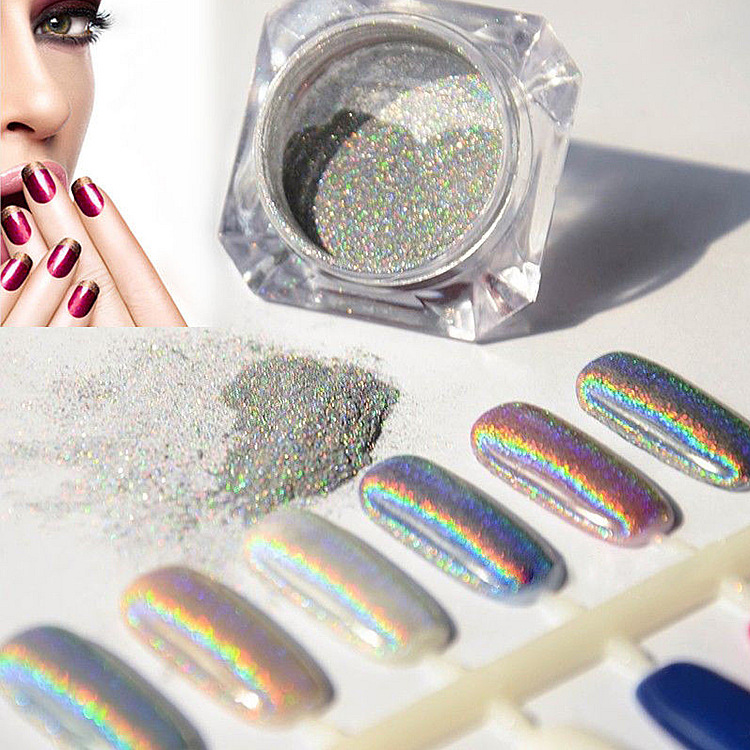 Then you can apply the nail chrome powder/mirror effect powder/ holographic powder on the nails and Rub it to have a mirror effect with the rubber stick. Using the nail brush to remove the rest of the chrome nail powder on the nails. At Last, Applying the top coat nail polish and dry it under nail lamp for 1 minute to keep it completely dry and finish! Then you will have a beautiful chrome nails ever!